THURROCK parkrun had a record turnout for the second week in a row. On Saturday January 5th, 127 people turned up to navigate the 5k course around Orsett Heath. Last Saturday, 154 people ran, jogged, walked, all in the cause of a healthier lifestyle. 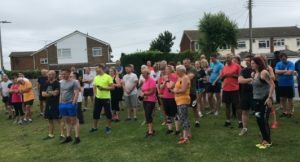 Thurrock parkrun is every Saturday at 9am. There is a great atmosphere and we encourage you to get involved.